A lovely ragu, with a savoury depth of flavour. This will quickly replace my existing go to recipe for when I have ground lamb in. 3 on a scale of 1-5. Too tart for us. And, the St. Germain added an off note. We usually love that liqueur but not in this drink. Not a make again. MY YEAR IN MEALS will give fans a glimpse into Rachael's own kitchen diary--what she herself cooked for her family for one whole year. From everyday meals to complicated culinary feats and meals she ate while traveling, Rachael has you covered for breakfast, lunch and dinner--from a Provence Frittata with Cheesy Ciabatta Bread, mouth-watering Lemon Pesto Spaghetti, Truffle Garganelli, to French Onion French Bread Pizza. For the first time ever, Rachael's husband and manager John Cusimano will be contributing to the book with a section devoted to his personal delicious cocktail recipes including the Fruita de Bosca (featuring blackberries, agave syrup, and fresh mint), the Strawberry Velvet (featuring honey liqueur, strawberries and lime) and the Ginger Mule (featuring ginger beer, agave syrup and gin). 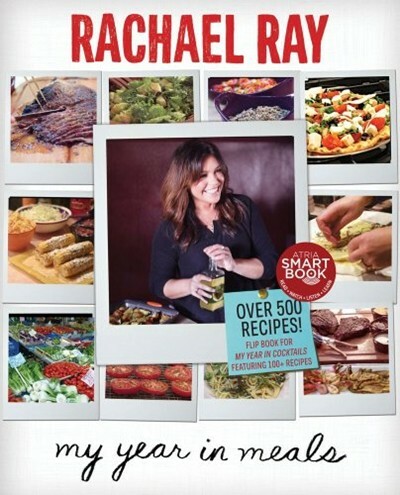 The book will also include Rachael's personal photos of the food she cooked throughout the year.